Just in time for Christmas! Another legendary value pack from Scholastic. Fill your holidays with seriously entertaining fun. This pack may have a small price tag, but you’re getting big talent from the best authors around. 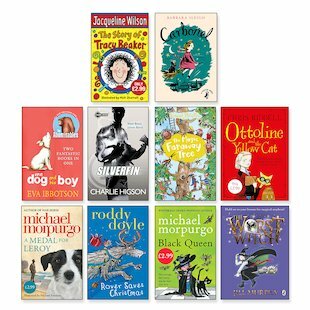 Michael Morpurgo, Enid Blyton, Chris Riddell: they’re all in here! Loads of cheerful favourites to build your home library and keep you smiling. Or why not split up the pack into party bag treats or fantastic mini gifts? Smart!